Congratulations on your engagement! We know that your wedding day will be full of unforgettable memories for you and your guests. We also know that planning a wedding can be stressful and that's where we come in! 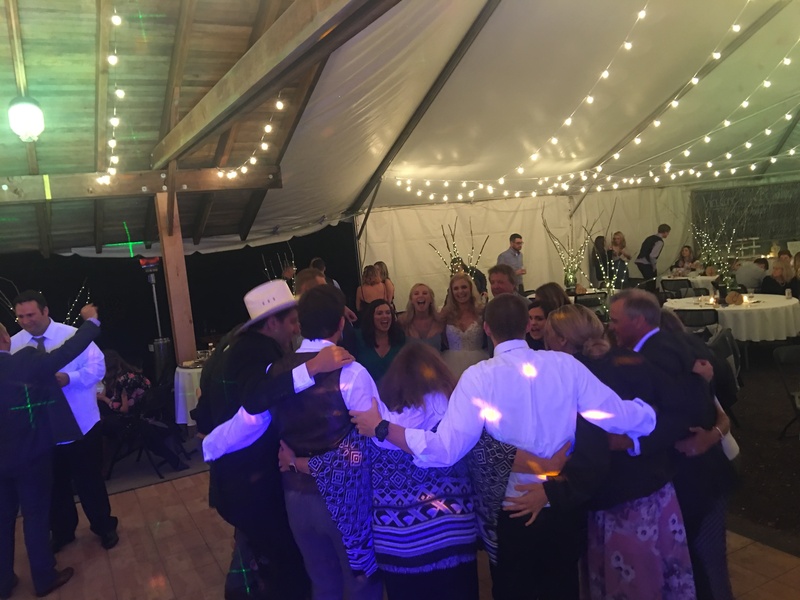 Before your big day we'll take care of putting together your playlist, timeline and meet in person so that we can provide our outstanding disc jockey and day-of coordination service. We don't think of ourselves as just another DJ company, but instead your entertainment director and overall event orchestrator - with the proper planning and execution everything will be as flawless as humanly possible. We'll make sure that everyone has a good time during your wedding and that your music, overall sound, lighting and entertainment are perfect. We first start off by scheduling your free entertainment evaluation which can be at your wedding venue, our office if you would like to see lighting examples or our photo booth in person, a Starbucks or any location of your choosing. If you have a dog we could even take our dogs on a walk together! During our meeting we'll go over your wedding details, your unique vision and what you would like to see from us. We'll provide recommendations on ways to incorporate the elements you want at your wedding, show you any sample photos or videos of services you're looking for along with going over your general music tastes, what you think your guests might want to hear and what needs to go on your "DO NOT PLAY" list. If we seem to be a good fit for each other and we have your date available then we can book your wedding right away with a signed contract and deposit. After your first consultation - we get to work right away! We'll start putting together a sample playlist, timeline for your wedding and contact your other vendors to see how they'll be working with you and incorporate their input into your wedding timeline. Alternatively if you already have a wedding planner or day-of coordinator then we'll work with them to figure out the best flow of events for your wedding. As your big day gets closer we'll get in contact with you via phone or e-mail to go over details, get any last music additions or changes to your playlist and schedule another in-person meeting or a site visit to your venue if needed. When available we'll attend your wedding rehearsal to work on getting the perfect timing for your music as everyone walks down the aisle - and yes we'll help coordinate this as well! After your rehearsal we'll go over any final details, make any last-minute changes as necessary and then get all your equipment prepped and ready the night before to make sure everything's in working order. On your wedding day - we arrive at least two hours before your pre-ceremony music starts. This gives us time to setup a clean presentation that will blend in with your wedding decor, do a sound check with music and any wireless microphones we'll be using and if an additional sound system will be used for your ceremony we'll get that setup first. Our on-site backup equipment will also be neatly hidden and will only be used if we happen to run into a speaker problem or if our main laptop has an issue - to date we have never had to use our backup equipment but is included with all of our packages to give you peace of mind. Once we're done setting up we'll touch basis with you, your fiance, family and other vendors to see if there's anything else we can help out with before your wedding starts. We'll act as your day-of coordinator and make any announcements necessary, provide the right musical tone as your guests arrive and will carry that through your ceremony to your cocktail/dinner hour, to your special dances and open up the dance floor to everyone for a night of celebration! Take a look at our packages and available options for your wedding so you can see what the right fit will be for your celebration. We can also customize any package to your needs and we'll work with you to make sure we stay within your budget. One Package. One Price. No Confusion! - All-day wedding coverage – no hourly limit! - $200: Digital Photo Booth with unlimited pictures for three hours, physical props and digital props (similar to Snapchat filters), custom layouts, online gallery and social sharing via SMS text messaging, e-mail, Facebook, Twitter and Instagram. All pictures will be e-mailed the following business day. Does not include prints. - $100: Add prints and a backdrop for photo booth. Are You Ready For The Most Unforgettable And Fun Wedding Ever? 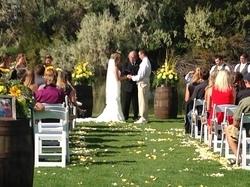 When we say it is an honor and privilege to help you on your special day, we mean it. If you are ready for a FREE, NO OBLIGATION CONSULTATION, please call us now at 541-514-9854 or e-mail david@djstoltzrecords.com.